This is a blog within a series of best practices blogs for cloud integration content in SAP Process Orchestration. For an overview of all blogs published within this series so far, refer to the overview blog. 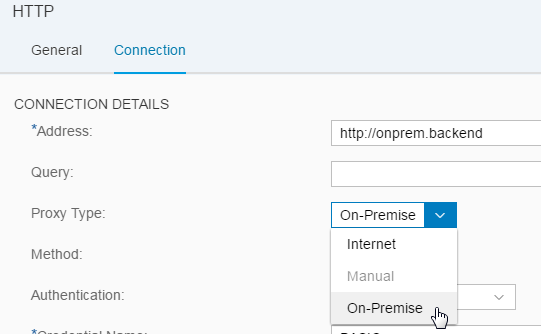 The following blog handles the different proxy settings of SAP Process Orchestration versus SAP Cloud Platform Integration. 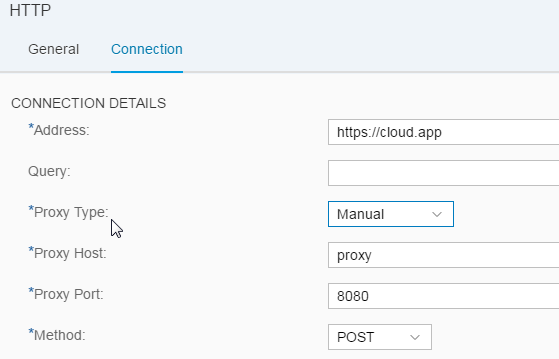 In order to run cloud integration content on SAP Process Orchestration, you may have to change the proxy settings within the connection settings of http based receiver connections. For the SAP Cloud Platform Integration runtime, you have chosen the SAP Cloud Platform Integration product profile. In this case, you have the two options Internet and On-Premise, Manual is greyed out. 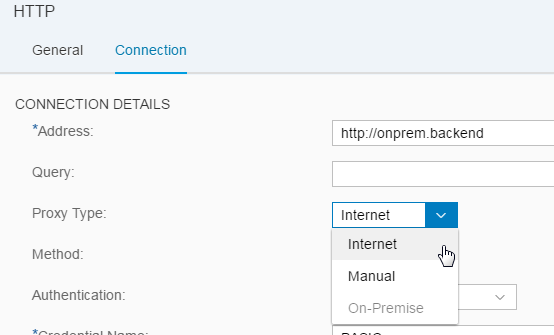 For on-prem backend integration, you choose On-Premise, then the connection goes via the SAP Cloud Platform Cloud Connector. For cloud app integration, you choose Internet, then no proxy is used. For SAP Process Orchestration, you have chosen the respective SAP Process Orchestration product profile. In this case, you have the two options Internet and Manual, On-Premise is greyed out. If you choose Internet either no proxy is used or the default proxy of the underlying Java application server. You can overwrite the global proxy settings by defining a specific one. 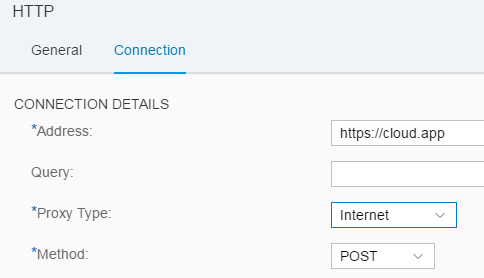 Here, choose Manual and enter proxy host and port in the connection details.